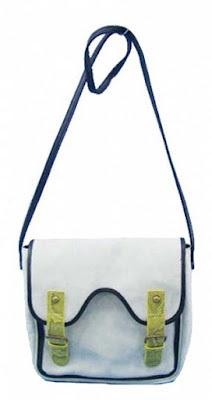 Looking for the hottest hippest handbags around? Well you need to check out Lulu-Nyc Handbags. They are one of a kind gorgeous bags made for everyone. I especially like the oversized bags, which give you a generous amount of space, and look hot on your shoulder at the same time. I’ve been looking for a HUGE handbag that I can stash all my goodies in, without it overflowing or looking completely stuffed, and I think I finally found what I need. You can browse their site by collection, or just shop online for the type of bag you’re looking for. 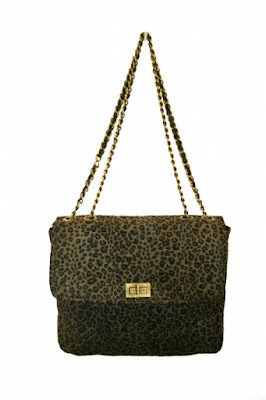 Lulu-NYC is constantly updating their site with new fabulous bags. And they are affordable as well. I first saw their bags in my new favorite magazine, “People Style Watch” Great magazine is you’re looking for handbags, shoes, jewelry and clothing. Lulu has also been featured in Life & Style, Lucky Magazine, and more. 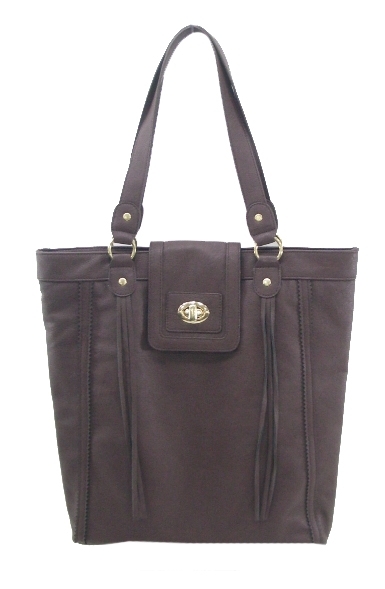 Lulu bags are very much like the bag you see on your favorite celebrity, just without the heavy price tag. The bag I received, (picture aboved) might not be for everyone, because this thing is HUGE! This is my biggest bag to date, and I love it! Laid out it looks bigger, but on your shoulder it folds over nicely. I love the braided sides, and the camel color. This bag holds everything I need, plus I have extra space. My only problem is it’s a little harder to find things, but if you put your products in the right compartments, you’ll have no problem. There are little zipper pockets on the inside for little things such as your cell phone, car keys or of course lip gloss. This bag reminds me of my favorite Michael Kors purse, just about $200 bucks cheaper. The bag is extremely lightweight, although you may not be able to tell from the pictures. As big as this is, it’s no weight on my shoulders. It’s really nice when you’re going on a trip because you can put your makeup bag, and everything else you need right in the main storage section. It’s also incredibly soft. Bella loves to sleep on this, can you believe it? That’s how nice and plush it is. When you put it down, it expands into an almost pillow like bag. She has been sleeping on it all through the day while I work beside her. So cute! Sorry for the bad pic, but here you can see it’s not really that big, but super cute when you’re carrying it! I love this bag! You can find many other styles like this and more at the Lulu online website. Also find them on Facebook to be up to date with all the sales and latest bags. Would you like to see your fashion or beauty product featured on this site? Click Here for more info.